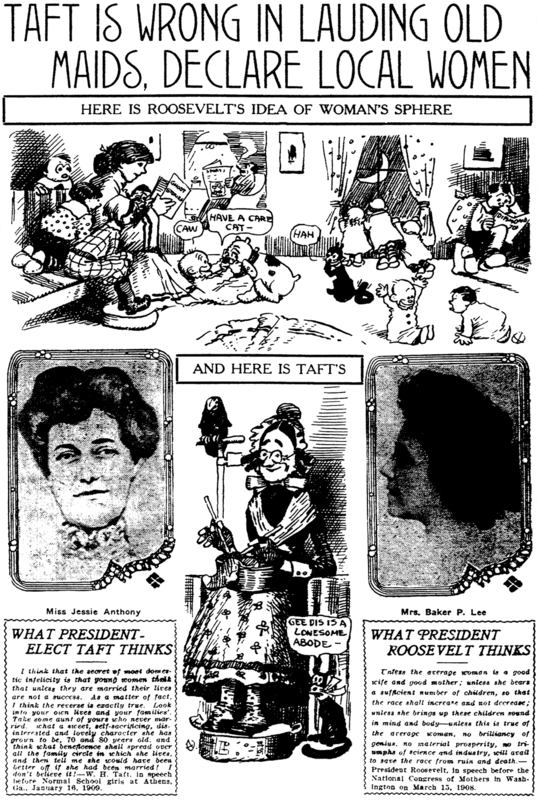 January 18 1909 --Poor Mr. Taft. He hasn't even taken office yet, and already he's catching hell for his shortcomings in loquacity compared to President Roosevelt. In this case, I get the impression that he was just trying to say something nice to some apparently non-marriage material girls. Look ladies, he says, even if you can't find a husband, you can still be good and useful members of society. Sounds like a pretty decent and nice thing to say (in 1909). Today, of course, the quotes of either chief executive would now be unthinkable. With proto Offisa Pup and Krazy! Moses Koenigsberg is a pivotal figure in the history of newspaper comics syndication. King News is his autobiography, and so is essential reading for the comic strip history buff. Of course the book discusses many subjects besides newspaper syndication, but it is all worthwhile to give a picture of the man. Mr. Koenigsberg is not above improving a tale for entertainment purposes (he originated the infamous tale of the yellow ink test that supposedly gave birth to the Yellow Kid), and his substantial ego sometimes colors his opinions. However, when taken with a few well-advised grains of salt, this memoir is tremendously revealing about newspapering in the early years of the 20th century. PS -- does anyone have a better photo of our author they could share? 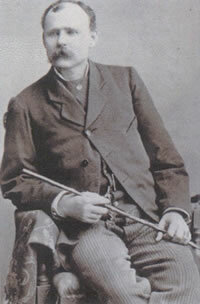 Jacobo Coy was an emphatic contradiction of his name. But nobody ever mentioned the fact. It was not the vogue to twit a man who could make a perfect trey out of a deuce with a 45- calibre revolver at thirty yards. Anyhow, Jacobo’s personality, like his first name, was so robustfully Mexican that in his presence the English word “coy” was too remote to remember. Also, he was Number One Detective of San Antonio, the third oldest city in the United States, and as a native Texan and proud American, he held at a maximum rating the importance and dignity of his official position. To him the insolence of a malefactor or the gibe of a punster would be a stinging insult at the Lone Star State. Yet here was Coy, the merciless man-hunter, behaving more like a poet than a prowler. Above him rose the north wall of the historic San Fernando Cathedral. He leaned against a stunted huisache tree, plucked an aromatic bloom from one of its breast-high branches and cupped the blossom in his copper-colored hands, inhaling its fragrance. He might have been composing a sonnet to the perfumes of a golden sunset. Or he might have been considering an ode to the belfry tower overhead, from the embrasures of which General Cos, less than fifty years before, cannonaded the heroes of The Alamo. Even the closest observer would have scoffed at a sugges­tion that Coy was on the alert. From the Ranch saloon around the corner at Dolorosa and South Flores Streets came the call of a roulette-wheel operator, accompanied by the rattle of dice tossed against the metal sides of an adjacent craps table. A bevy of Mexican girls, their lace mantillas covering dance-hall finery, tripped with light laughter through the alley that led a few paces away to Military Plaza. Behind them trailed a motley troop of Mexican men and boys, bent over with grotesque burdens. In a few moments, the loads released from their backs would be transformed into an open-air restaurant filling a large part of the plaza. Long planks laid across saw-bucks would support huge kerosene lamps of polished brass and an assortment of cutlery and crockery whisked as if by magic from queer bundles. 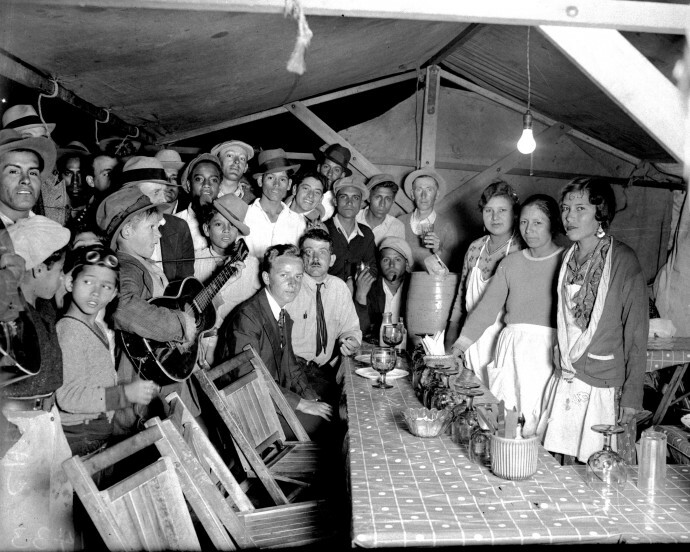 On camp stools alongside the improvised tables would gather towns­men and tourists, some for their evening meal and others to linger until the approach of dawn. The girls, their mantillas now tucked away in ornate baskets sheltered from the steaming caldrons behind them, would stand forth, the celebrated “chile queens” of San Antonio, so-called partly for their beauty but more for their bearing. When the yellow moon came to lengthen the shadows between the shining lamps, they would move with the stateliness of gra­cious chatelaines in this collapsible fonda al fresco. They turned menial service into a social favor, spacing a dish of chile con carne, a plate of tamales or a cup of black coffee with a merry quip, a whiff of corn-shuck cigarette smoke, a fugitive smile of elusive coquetry, a gay sally or a hand-clap for the volunteer musician at the end of the table coaxing the tender strains of Sobre las Olas from a venerable guitar. Tonight it would be as it had been for thousands of nights, a moving picture reminiscent of a scene from an Old World opera. Jacobo Coy gave no apparent attention to the straggling pro­cession of chile queens and their retinue, though he moved a bit farther out of view under the foliage of the huisache tree. Less than a hundred yards away, on the east side of Main Plaza, in the gambling emporium on the second floor of the Revolving Light saloon, scores of coatless men were plainly visible through the open windows bent in long rows over their cards in the keno game. Above them, on a high stool, the caller of numbers was methodically twirling the lacquered goose from which he ex­tracted the ivory balls. Each call was a chant. “Number e-o-leven,” beginning in a nasal drone, rose to a triumphant shout. On the north side of the Plaza, diagonally opposite the Revolv­ing Light and a scant hundred feet away, a small knot of men was gathered in front of Jack Harris’ vaudeville theatre. Harris, the Tony Pastor of that section and age, was quite willing for the establishment to be heralded with his name. But his partners, Billy Simms and Joe Foster, preferred the more colorful designa­tion of “The Crystal Palace,” a rather pretentious title for the combination dance-hall, theatre and saloon. It was July 11, 1882. A hesitant breeze stirred the languor of the midsummer eve­ning. As if in benediction, the bells of the cathedral chimed the angelus. Jacobo Coy made the sign of the cross. The reverent gesture was like a baton timing the last note of the chimes. But Coy’s right forefinger remained poised in mid-air. It sig­naled a startling change in the attitude of every living creature in sight. A silence fell on Main Plaza. Its suddenness jarred the ear. Men stood in positions of arrested motion as if instantly obedient to a command. The numbers goose of the Revolving Light keno game, caught midway in a spin, was clasped in both hands of the operator. The tableau ended as abruptly as it had begun. The knot of men in front of the Crystal Palace broke into scattering figures speeding for the shelter of doorways, windows and posts. The keno game in the Revolving Light melted into white-shirted streaks that disappeared under tables or clung to the walls farth­est from the windows. A stalwart figure stood alone where a moment before a dozen men had been idling in front of the Crystal Palace. His legs were wide apart as if bracing his body for a shock. The left arm hung loosely. The right hand rested on a leather belt. A double door of fiber, extending from the knee to the top of a six-footer’s head, served ordinarily to screen the patrons of the bar from passersby. The man on the sidewalk stood a step to the east of the entrance. He was talking to someone somewhere behind the fiber doors, though neither speaker could see the other. The signal that smote everyone else on Main Plaza with a momentary paralysis had exerted a wholly different effect on Jacobo Coy. It galvanized him into a prodigy of speed. Coy made fifty yards at a pace professional sprinters might well envy. He was within speaking-distance of the man in front of the Crystal Palace when the two revolver shots crashed out. “Carramba! Too late!” Coy groaned. He had reached the curbing when the man with the smoking pistol turned to face him. “Howdy, Jake! Here’s my gun,” came in casual greeting as BenThompson, City Marshal of Austin, offered his weapon, handle first. If Coy replied, his words were lost in the sound of rushing feet and the cursing of angry men. The groups of idlers, gamblers and workers, who had scrambled from the plaza like fluttering chickens fleeing a hawk, were back now, augmented tenfold by excited townsmen converging from every quarter. Dapper Billy Simms came out of the Crystal Palace. He was trying to talk. His face had the chalky pallor of one who has just slipped through the fingers of death. It set off, as if in caricature, the waxed mustache that at other moments stirred a secret mirth —always, however, a carefully dissembled merriment, since this slight fellow in his early thirties bore a record of multiple homi­cide, including two Mexicans liquidated in a monte game. Afterward, Simms’s friends explained his agitation as a mix­ture of rage and chagrin. Striving to shout, he could not lift his voice above a whisper. The most notorious killer of the Southwest, charged with the wanton slaying of a popular resident, confronted a furious crowd. In each face burned a grim indignation inflamed as much by the stories of this man’s homicidal exploits as by the shooting from which he had just stepped red-handed. Thompson was known from the Rockies to Red River for his surpassing dexterity with the revolver, with a record thus far of twenty-one white men, “not counting Negroes, Chinese and Indians.” His pistol had accounted for more tragedies than were charged against any other living man. If ever there was a Public Enemy No.1, here he stood unarmed and unafraid, though clenched hands were thrust before him, numerous enough to tear him to shreds. Providence seemed to have set the stage for mob violence. Scores of shoving, hustling men shouldered each other roughly to get closer to the killer. “Let’s hang him!” urged a number of voices. “I surrendered to you, Coy.” Thompson spoke in a meaningful undertone. It was an unnecessary reminder of the detective’s responsibility. Already, he had maneuvered Thompson to the wall of the Crystal Palace. Now, his back to his prisoner, he faced the snarling crowd, his own revolver in his right hand and Thompson’s gun in his left. There was a roar of anger. It subsided in a violent buffeting, jostling and jerking from which emerged several policemen in uniform headed by City Marshal Phil Shardein and accompanied by another group of stern-visaged men—deputy sheriffs and con­stables, with silver badges pinned on their shirt bosoms. Detective Coy saluted his chief, Marshal Shardein. The threat of an im­pending riot began to fade. In the presence of these two men, the air became vibrant with a sense of power and authority. The incipient mob turned into a herd of grumbling bystanders. There was a further transition when Billy Simms and an assist­ant bore through the fiber doors a canvas cot on which lay a motionless figure covered with a white sheet. It was the body of Jack Harris. Heads were bared as at a funeral. The makeshift cortege passed directly in front of Ben Thompson, standing in the center of the police group. Simms paused an instant, lifted his end of the bier a bit higher and glared into the eyes of the man who had just killed his friend. Thompson jammed his hat down tighter. Shardein and Coy usually posed as stoics. Both now betrayed an astonishment wholly out of key with the habitual deportment of either. They were staring open-mouthed at a little boy who had sidled between them and stood gazing up at Ben Thompson. It was the same child one might have seen a short while before at play on the courthouse site around the corner. His disheveled blond hair reached the level of Shardein’s hip-pocket. His pink waist was torn to tatters. Evidently, he had been in the midst of the struggling crowd during the critical interval that preceded Shardein’s arrival. Both police officers were fathers. They could take in their stride the hazards of exploding firearms and of bodies mangled and bones crushed in melees, but they stood aghast at the picture of such a child sharing the quarter of an hour from which they had just emerged. The boy had been oblivious of any danger so long as he remained unnoticed. His curiosity about what was happen­ing to others had included no awareness of what might happen to himself. Now, suddenly the center of attention, he was scared speechless by a dynamic consciousness of self. A policeman on the fringe of the group caught sight of the child. “That’s the son of Koenigsberg, the tailor on Soledad Street,” he exclaimed. And that explains my attendance “on the spot” of the first news story that “broke” within the range of my attention—the initial chapter in one of the most lurid tales of Southwestern desperado-ism. From the dramatic sequels of that evening’s tragedy was woven part of the pattern of events, circumstances and influences through which I subsequently entered the profession of journal­ism. The tragedy also afforded a recurrent source of personal earnings. Again and again rehearsed with me by Jacobo Coy a decade later, the details were fitted into a stock story of several thousand words. Over a span of years, I sold the yarn, revamped on each occasion, to thirty different newspapers. Only a short block lay between Main Plaza and the little one-story adobe structure on Veramendi Alley, directly behind the Crystal Palace, to which the police cordon escorted Ben Thomp­son. But the procession was impeded at every step by a saturnine throng of muttering men. Their abortive adventure in lynching had not slaked the blood-lust that still seethed under outer re­straints. Vengeance was not abandoned, but it no longer teetered uselessly on the tongue. It worked in the mind. Plans were afoot. A citizen might thrust his tongue in his cheek at fervid orations proclaiming “the repression of outlawry,” but he cherished and tended the communal fetish of “security from personal violence.” No matter how often that fetish was bowled over by a bullet in a brawl or slashed by a knife in a fracas, the loyal resident hastened to restore it. But this evening’s tragedy was different from the ordinary kill­ing, argued the crowd milling behind and around Ben Thomp­son. It was replete with a malevolence too significant to be tied to one man, no matter how abhorrent that creature might be. It was, in short, a public affront, an unspeakable outrage to a city’s pride and dignity, not to be charged in full to an individual, but to be handled on the broad scale it deserved. When the principal police executive of the capital city of Texas invaded the metropolis of the State and shot a gaping hole through its aegis of personal safety, he set one community against another. It was all very well for the taxpayers of Austin to follow a widespread practice of the period in delegating a “bad” man to keep other “bad” men in hand. They had chosen their most con­spicuous “bad” man for their city marshal and so long as he operated within the limits of Austin, San Antonio had no right to complain. It was a different situation, agreed the spokesmen, when he exploited his aptitude for murder among the law-abiding citizens of another city. To let him fare forth on such an errand was as culpable as to assign him for the specific purpose. Was Austin parading its prowess? Here was a challenge that must be met. Some drastic measure should be taken to convince the little town of Austin that the good city of San Antonio was not to be so flouted, abused, humiliated and outraged. And thus was launched the feud of two cities. Becky Sharp was the pseudonym of Helen Augusta Sharp who was born in St. Joseph Township, Ohio, on April 22, 1890 or 1891. Her birth information was found at Ancestry.com in the Ohio, Births and Christenings Index that spelled first name “Hellen” and said her birth year was 1891; her Social Security application had the same year. The year 1890 is from the 1900 U.S. Federal Census, the California Death Index and Find a Grave. In the 1900 census, Sharp was the fifth of seven children. Her father, Herbert, was a farmer; her mother was not recorded. The family resided in Edgerton, St. Joseph Township, Williams County, Ohio. Sharp graduated from Edgerton High School in 1908. The Edgertonian 1915 yearbook listed many of the alumni and their occupation. Apparently, Sharp was unemployed at the time. The 1910 census revealed that Harding had been named after her mother. The family of six continued to reside in Edgerton. The Bulletin of DePauw University, May 1910, listed Sharp as an undergraduate. She was in the class of 1914. At some point Sharp moved to Los Angeles, California, where she continued her studies at the University of Southern California. The 1920 census recorded Sharp in the household of a cousin. Self-employed Sharp resided in Los Angeles at 726 East 31st Street. Her occupation was advertiser for a store. Cynical susie. © Jan. 30, 1932; K . 16050. American Newspaper Comics (2012) said United Features Syndicate picked up the strip for national syndication in 1933. 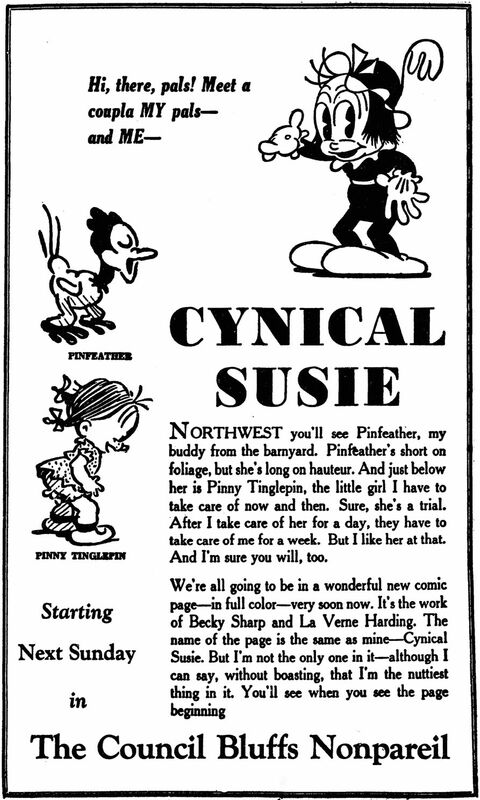 Cynical Susie was written by Sharp and drawn by LaVerne Harding who stayed with the strip into September 1935. In January 1936, Bernard Dibble did the art and writing chores to August 7, 1937. The Spring 1994 issue of Animation Journal revealed a contract that named a third person, O. Jean Brittan*, who was involved in the ownership of Cynical Susie. It’s not known how or when Harding, Sharp and Brittan met and became partners in the Cynical Susie property. A 1938 Pasadena, California city directory listed Sharp, a writer, at 4336 Bel Air Drive. The same address was in the 1940 census. Sharp lived with her younger sister and two nieces. Sharp has not yet been found in the 1940 census. A listing in the 1946 Crescenta and Canada Valley, California, city directory said Sharp was a writer at 1250 Olive Lane. Later, Sharp was involved in real estate according to the California Directory of Brokers and Salesmen, Volume 37, 1956. Sharp passed away September 1, 1961, in Los Angeles. She was laid to rest at Union Cemetery in Bakersfield. * Olive Jean Brittan was born November 11, 1888, in Corning, Iowa, according to a 1925 passenger list. The 1900 census recorded Brittan as the sixth of ten children. The family of twelve resided in Douglas, Iowa. Brittan’s home in 1910 was Montana where she was unemployed. 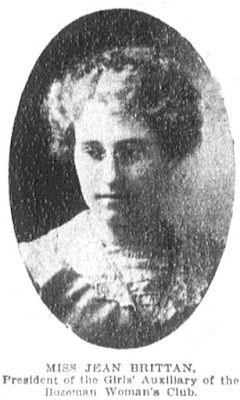 The Anaconda Standard (Montana), May 11, 1913, said Brittan was elected president of the girls’ auxiliary of the Bozeman Woman’s Club. A 1914 San Pedro and Willmington, California city directory listed Brittan as a dressmaker at 634 North Alexandria Avenue. Brittan graduated from the State Normal School in 1917. The 1920 census said Brittan was a teacher at a business college and a Glendale resident. Brittan contributed to the Los Angeles School Journal, January 10, 1922. Brittan’s address in 1925 was 921 West 20th Street, Los Angeles. In 1930, Brittan made her home at 3321 1/2 Griffith Park Boulevard in Los Angeles and was a secretary at an office building. At some point Brittan met Helen Sharp and LaVerne Harding. Brittan was found in a 1942 Bakersfield, California city directory. She was a public school teacher. Brittan and Sharp were listed at the same address, 1250 Olive Lane, in the 1946 Crescenta and Canada Valley, California city directory. Brittan was an office manager. Next, Brittan went into real estate as a salesperson. Brittan passed away June 3, 1949, in Los Angeles and laid to rest at Union Cemetery, Haven of Rest 776 - 7 Head. Sharp was at Haven of Rest 776 - 7 Foot. Emily LaVerne “Verne” Harding was born in Shreveport, Louisiana, on October 10, 1905, according to Who’s Who in California, Volume 9 (1971). 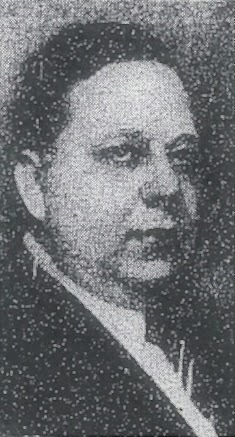 Harding’s full name was found at Who’s Who of American Comic Books 1928–1999, Women in Comics, Find a Grave, and the California Death Index at Ancestry.com. Her parents were John Burruss Harding of Louisiana and Pearle Wadley of Arkansas. Harding was a descendant of Daniel Boone. In the 1910 U.S. Federal Census, Harding and her parents resided in Kensett, Arkansas, at the Doniphan Lumber Camp on Red River. Her father was a bookkeeper for a mill company. According to the 1920 census, Harding was the oldest of four children. The family of six lived at 1346 89th Street in Gardena, Los Angeles County, California. Her father was a cotton farmer. Who’s Who in California said Harding graduated in 1924 from Manual Arts High School in Los Angeles. The Harding family was at the same address in the 1930 census. Harding’s father was a desk clerk at the county jail. Who’s Who in California said Harding began work at “Walter Lantz Productions” in 1931. However, Who’s Who in Animated Cartoons said she started there in 1932, after attending the Chouinard Art Institute. Harding was an inker, then an in-betweener assisting other animators. In 1934 she was promoted to a full-fledged animator. Some of the characters Harding animated were Woody Woodpecker, Andy Panda, Wally Walrus, Oswald the Rabbit, and Chilly Willy. 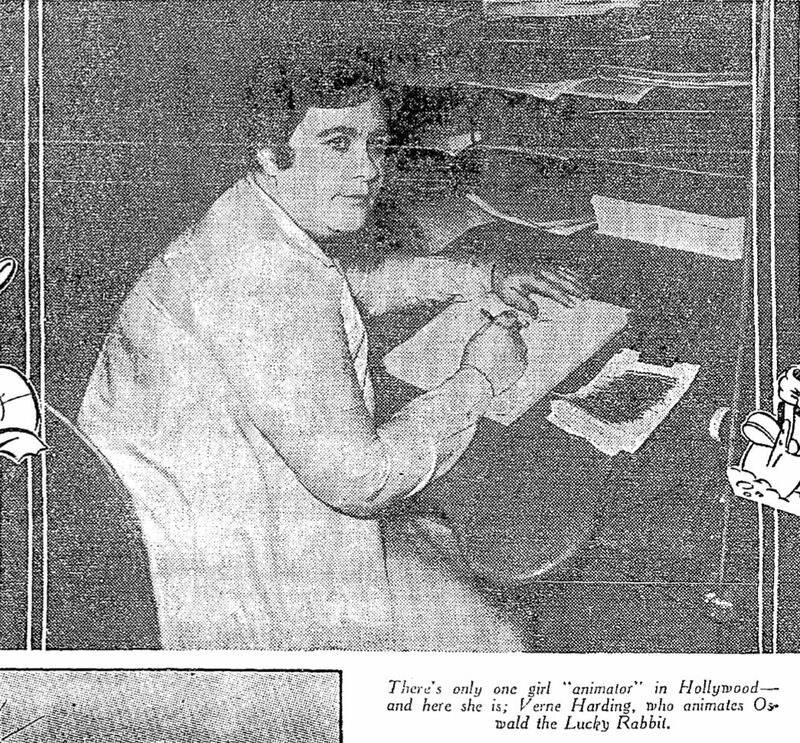 Later in her career, Harding worked with other animation studios including Hanna-Barbera, DePatie-Freleng Enterprises, Warner Bros., and Filmation Associations. American Newspaper Comics (2012) said United Features Syndicate picked up the strip for national syndication in 1933. Cynical Susie was written by Becky Sharp the pseudonym of Helen Sharp. 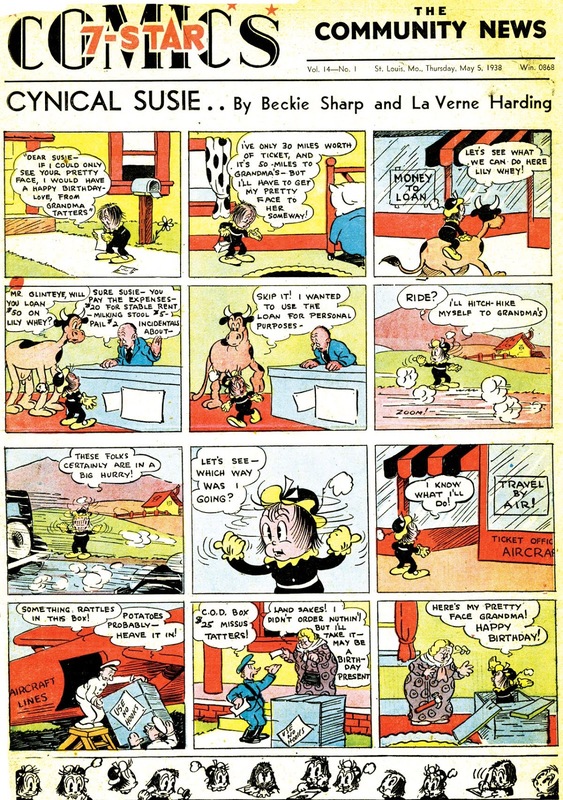 Harding drew the strip into September 1935. In January 1936, Bernard Dibble did the art and writing chores to August 7, 1937. 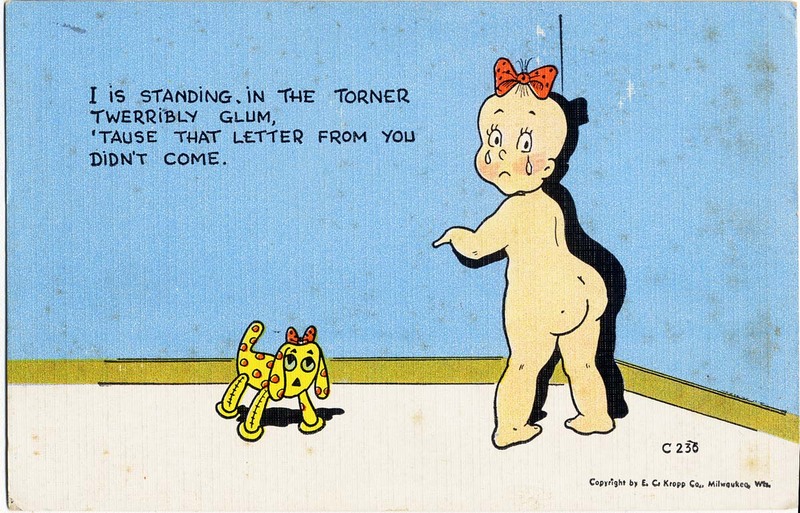 Apparently, Harding was unable to maintain the workload of producing the strip and her animation duties. She withdrew from the strip. The Spring 1994 issue of Animation Journal revealed a contract that named a third person, O. Jean Brittan, who was involved in the ownership of Cynical Susie. It’s not known how or when Harding, Sharp and Brittan met and became partners in the Cynical Susie property. A 1938 Los Angeles city directory listed Harding as an artist at “1346 W 89th”. Her address in the 1940 census was 2340 Lake View Avenue in Los Angeles. 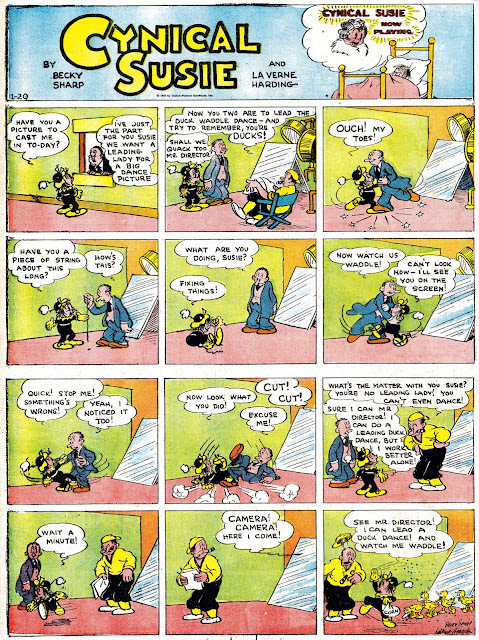 The cartoonist’s 1939 income was $3,150. Who’s Who in California said Harding produced material for the Whitman Publishing Company. Some of her comic book credits are here. Who’s Who in California mentioned Harding’s hobbies of steel guitar and Hawaiian music, and for recreation she traveled to Europe. Harding passed away September 25, 1984, at her home in the Silver Lake district of Los Angeles. Her death was reported in the Los Angeles Times on the 29th. With the exception of their flagship strips, Tarzan and Fritzi Ritz, United Feature Syndicate in the 1930s seemed to have a real tough time placing their Sunday offerings. 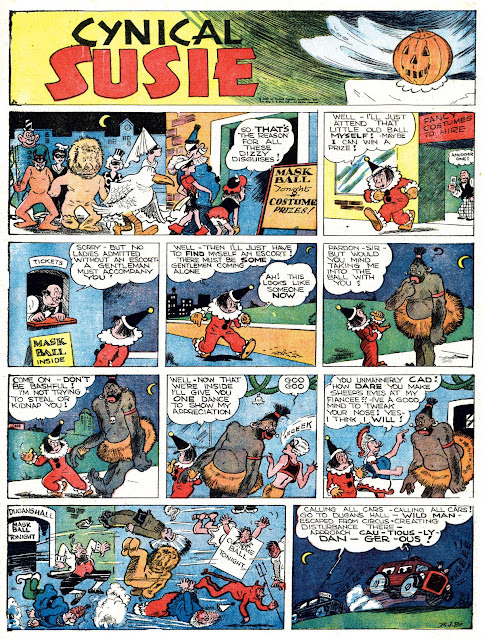 Strips like Peter Pat, How It Began, Alice in Wonderland and today's obscurity, Cynical Susie, had few takers. In order to cut their losses, UFS's Sundays of the mid-1930s were resold as package deals. In 1936-38, you'll find many of their Sundays appearing in re-runs, usually as tabloid section offerings from smaller newspapers. I don't know if UFS was offering these as pre-prints, but there is some circumstantial evidence that they were. Specifically, the sections often sported national ads featuring these all-but-unknown characters. In 1938, to muddy the waters even further, UFS sold off all this backstock to World Color Printing. 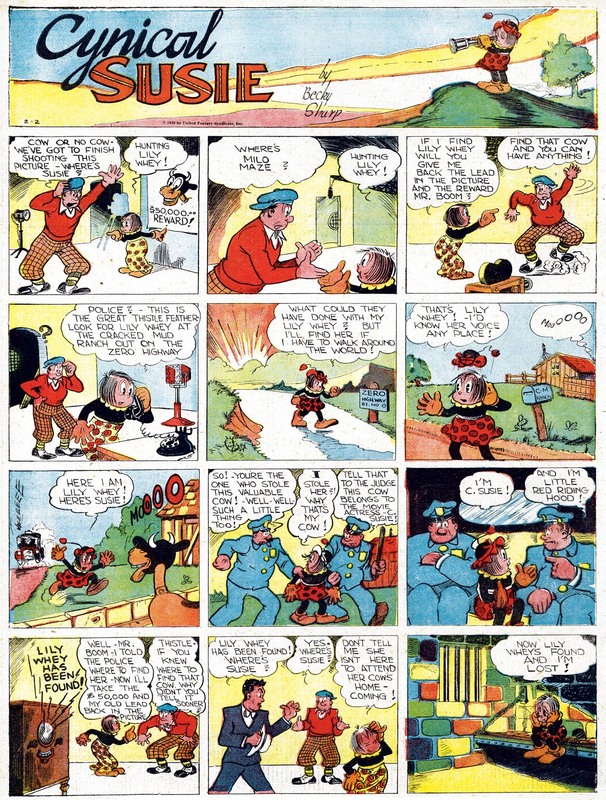 WCP offered these same mid-1930s strips into the early 1940s. Good news, then, to readers who really liked these strips, as they could conceivably see their favorite examples run three or more times over the years! 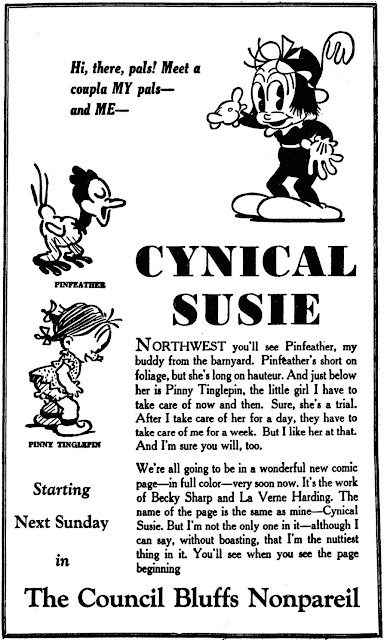 First offered by UFS in 1933, Cynical Susie was one of the least popular of UFS's Sundays, even though it offered some absolutely delightful animation-inspired art by LaVerne Harding. The problem was the writer, who signed herself Becky Sharp. She had pretty good funny ideas for her strip about a Hollywood child actor, but she couldn't seem to get the hang of writing comic strips. Her storytelling is very jerky, uncertain and unfocused, leaving the reader more confused than entertained. It would have been smart for UFS to offer Harding her own strip and drop the writer, but that unfortunately did not happen. Becky Sharp was for a long time a mystery writer. She even managed to fool the usually unerring Cole Johnson into thinking she was a non-entity, just a pseudonym for LaVerne Harding. Finally, though, the Cartoon Research blog has uncovered her identity via a contract they found for the strip. She was Helen Sharp, who worked under the moniker 'Becky', perhaps as an homage to the character in Thackeray's Vanity Fair. Unfortunately that's still the sum of our knowledge of Sharp, unless she is the same person as a Helen Sharp who penned a number of romance novels in the early 1970s. On the other hand, LaVerne Harding is no mystery at all, but rather quite well-known in the animation community. She is one of the first female animators, worked at Universal under Walter Lantz starting in 1932, and had a long career in film and television animation. You can read more about her career at several posts on the Cartoon Research blog, at the Animation Resources blog, at Tralfaz, and on the Rarebit Animation wiki. Her extensive animation credits are listed on IMDB. Getting back to the strip itself, United Feature first advertised it in 1933-34 as a Sunday and daily, then in 1935-38 as a Sunday only. Since I'd never found a daily, I assumed that part of the package was a no-go. However, the Cartoon Research blog has discovered a Cynical Susie daily. Odd thing is, it appears to have not been distributed by UFS, but rather was a local feature of the Los Angeles Daily News, which attempted to syndicate the strip themselves (proof of that here). According to this post it began as a single panel feature which started in 1931, and graduated to a daily strip at some point -- perhaps the News thought it would sell better as a strip? Also according to that post, when Sharp and Harding were signed by UFS they were expected to create two sets of dailies each week -- one for the News, one for UFS. That I frankly find hard to believe -- national syndicates do not normally allow creators to keep producing a feature for their local paper; the paper would now have to buy the feature from the syndicate. Supposedly Harding balked at having to produce twelve dailies every week, and whatever the details of the problem, that may have been the end of the daily strip. Even without having to produce a daily, by 1935 Harding was reportedly feeling overworked. As she became more important at the Lantz studio, and her responsibilities there increased, I imagine the hours she was putting into adapting Sharp's bad scripts into Sunday pages was starting to seem a waste. Since Harding would have been sharing her syndicate royalties two ways for a strip that wasn't selling well, those checks were probably starting to look pretty paltry, too. With the new material and reprint runs appearing simultaneously, it is hard to tell when Harding left the strip, but I think it was probably with the releases of September 1935. Once Harding's name was dropped from the masthead the art was no longer credited. 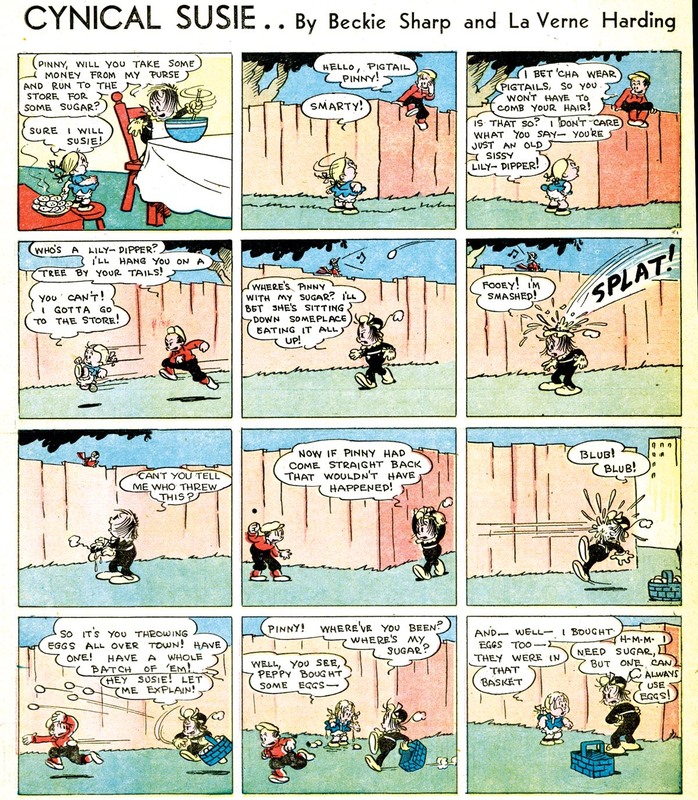 However, it is obvious that UFS bullpenner Bernard Dibble took over the art reins, and in fact in 1936 he started to slip a 'BJD"or 'DIB' signature into the final panels on occasion. My guess is that the 'first-run' strip ended as early as December 1936, or as late as August 1937. Becky Sharp may have left the strip around March 1936, when her credit was dropped from the masthead, but the writing still seems like her clunky style. Sorry for the late reply, but here is the comics page for the June 8th, 1991 edition of the the Elyria Chronicle Telegram. The date is at the far right of the page. You'll find what I believe to be the very last "Big George!" daily at the bottom, next to "Dennis the Menace". Is it La Verne or LaVerne? Is it Tony Di Preta or DiPreta? Is it TAD or Tad Dorgan? Is it D.D.Degg or D. D. Degg? Thank you Ben! End date updated in my records. That put VIP an incredible SEVEN years ahead on his feature. Wow!